Danielle is the author of Paring Down, Looking Up. She lives on 5 acres in central Colorado with her husband, two boys, two dogs, three goats, twelve chickens, thousands of bees and a whole lot of deer and wild rabbits who consider their garden to be their private farmer’s market. It started with our first garden, a throwback to summers with my grandparents and a way to provide organic produce for our newborn son and us. We cleared and fenced a sun-drenched corner of our suburban backyard and my husband, Gabe, built two of the prettiest raised beds I’d ever seen. He amended the soil with a well-researched mix of peat moss and compost (thanks, Google – it does take a village!) and mulched walkways between the beds. I planted a variety of seeds and starters, and that summer resulted in a wealth of tomatoes, basil and more zucchini than I could handle. No matter that the pumpkins, strawberries and melons didn’t take – we were hooked. As the family grew, and our one boy would be joined by another, we dreamt of more space and a tangible way to connect with our days. We were two working parents with full-time, fast-paced jobs, and we knew that something had to give. So I left my ad agency job, began freelancing, and Gabe and I started the search for a new home that would allow us to grow more food and spend more time together outside. A series of unforeseen events resulted in us buying my parents’ home, on 5 rural-residential acres, while they moved 4 houses down the street. First came the chickens. We started with 7…and despite all of our research and preparation I promptly killed 5 chicks. Heartbroken but wiser, we hedged our bets and bought 10 additional chicks on the last weekend that they were available at the feed store, and they all survived. They started their lives like kittens, curled in the corner of a heated feeding trough until Gabe unleashed his inner (and heretofore hidden) carpenter skills and built them a 200 sq-foot chicken palace the likes of which I have never seen. Even though a pecking order exists, they still pile on top of one another and can’t stand to be separated from the group. I never knew that so many bodies could fit on one roosting bar – so much for allowing extra space! As for the homestead, it turns out chickens were our gateway animal. I hear this is common, much like the cravings induced by that first tattoo or potato chip. The chickens led to bees…bees led to more plants…a family garden went in at my parents’ house 4 doors down…our own unprotected container garden has fed the deer for two summers now…and we just recently built a pen and a shed and added 3 Nigerian Dwarf goats to the mix. So are we off-grid, totally self-sufficient, and completely in sync with the rotation of the earth? No. We still consume, both products and resources, but we are more mindful. We up-cycle and reuse more than we have in the past. We make strides to better our land, support the local flora and fauna, and we are very hands-on with how our food is grown, managed, prepared and preserved. I bought a pressure cooker…and I fully plan on reading the giant instruction manual and learning how to use it without blowing up my kitchen once our CSA’s canning share kicks in. Each of these small (and not-so-small) steps takes us in the right direction. Sure, we have 5 acres so we can do more of some things than the average city dweller, but there is nothing we’ve done that someone living 45 miles north in a Denver suburb couldn’t also do. For us that’s the point. We didn’t want to turn our backs on our former life; we just wanted to enrich it with a more hands-on experience and make it better. So far, it’s working. The days feel longer; the kids are happier; the parents are more in-tune. Maybe next year we’ll talk about putting in that solar grid. Or more hives. We’ll definitely be expanding the garden, adding fruit trees, and perhaps we’ll explore the possibility of raising some of our own meat. Until then, we’ve got plenty to keep us busy. Every day is an adventure, and we couldn’t be more grateful to be living it. Follow Danielle’s journey by visiting her at Pare Down, Look Up. 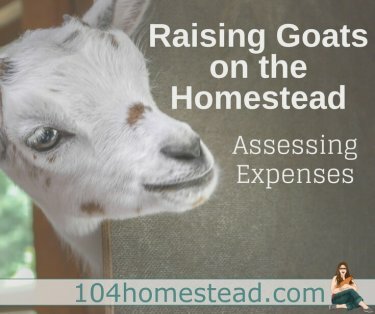 Danielle is also a contributor for The 104 Homestead. Come see her work! « Nuts About Soap Nuts: Laundry, DIY Cleaner & More!